You may have never heard the words “liberal arts” until you started thinking about applying to colleges and universities in the US. What comes to mind may be the image of a leafy-green, secluded campus, the “life of the mind,” or wacky campus traditions. So what makes the liberal arts experience different? 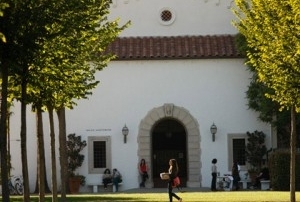 Until I began my first classes at a U.S. liberal arts college (go Sagehens! ), I didn’t fully realize that the purpose of a liberal arts education is exploration of many disciplines, rather than being restricted to a single narrow field of study. Many courses of study, like neuroscience or international relations, are interdisciplinary, drawing from different subjects to make connections across fields. Intellectual curiosity is a must! Regardless of major, you’ll be taking classes in the sciences, humanities, and social sciences, as well as any other school-specific requirements (such as a class examining different cultures). As an international relations major, I also took classes on physics and energy policy, musical theater, and environmental history. In fact, my classmates included a double major in French and economics, a music major who went on to medical school, and an Asian American studies major now working at Google. These broad requirements, along with an emphasis on critical thinking and intellectual inquiry, lead to exploration and innovation. As a liberal arts student, you’ll gain not only knowledge but a different way of looking at the world. That’s one of the reasons why graduates from elite liberal arts colleges are now the most sought after by top technology companies. If you attend a liberal arts college like Carleton or Amherst, your classes won’t be taught by graduate students. Professors at these schools, while still leaders in their field, have made a commitment to teaching as well as research and writing. Class sizes are also smaller, so don’t expect to hide during a lively class discussion! At Pomona, outside of my small seminar classes, I even had the opportunity to work with a professor by doing research for his upcoming book, and another classmate was co-author (with a faculty member) of a published scientific paper which she traveled to present at a conference. No matter what you major in, expect writing-intensive classes that will challenge and develop your abilities. The rigor of a liberal arts degree is excellent preparation for graduate programs, which is why these schools produce the greatest percentage of students who go on to earn PhDs. Liberal arts colleges emphasize residential life and campus community, with lots of student-run organizations and activities: intramural sports, a capella singing groups, cultural clubs, and many more! Student bodies are smaller, so you’ll get to know all or most of the people in your year, and many students will live on campus for all four years. This close relationship extends to faculty and staff as well: once, when I was ill, a dean took me to In N Out Burger to cheer me up – a true Southern California experience. The close-knit community of a liberal arts college gives you support for all your endeavors (whether academic, personal, or professional), opens up opportunities, and pushes you to expand your intellectual horizon. In short, a liberal arts college means both a first-class education and an incredible campus experience – just ask any proud graduate! Libby Kokemoor is an Educational Consultant at Hale Education Group and a graduate of Pomona College.